Later this month, Disney is releasing the animated musical Moana, which is directed by the same people who made The Little Mermaid and Aladdin. And if the early reviews are right, the directors have lived up to that incredible standard. When most people think of modern Disney films, the bar was set in the 1990s. Films like Beauty and the Beast, The Little Mermaid, Aladdin, and The Lion King. Moana directors John Musker and Ron Clements were working right in the middle of that, and now, with their first computer animated film, critics are saying they’ve made a film worthy of being mentioned alongside not just Disney’s more recent successes (Frozen, Big Hero 6, Zootopia), but the older ones too. We’ll have our own review closer to Moana’s release later this month, but here are what some major outlets are saying. Walt Disney Animation Studios has resoundingly solved its own, delivering a musical adventure that’s a worthy addition alongside “The Little Mermaid” and “Aladdin,” two now-classic cartoons also brought to life by directors John Musker and Ron Clements, whose gift for hand-drawn animation translates beautifully to the realm of CG here. 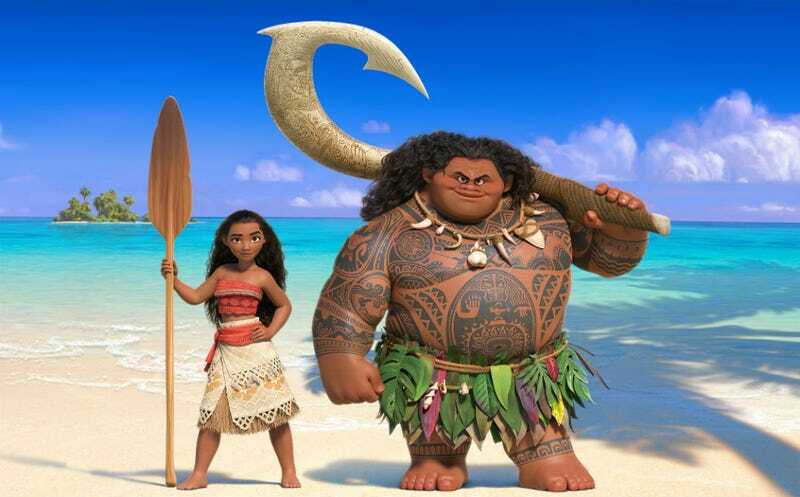 Not only does Moana feel like a worthy successor to Disney’s most beloved animated classics, but it pushes the genre into 2016, introducing a smart, diverse, and convincing heroine who struggles against lava monsters and self-doubt. If Frozen was the Mouse House finally and triumphantly embracing its destiny in a “Simba climbs to the top of Pride Rock and the rain washes away the past” fashion. Moana feels like a victory lap. It’s a work of supreme confidence that can poke itself in the ribs just a little because it knows it has the audiences’ trust and confidence. Not everyone is 100 percent, totally over-the-moon about the film, though. There are some slightly less positive reviews as well. Moana’s “know who you are” message is the sort of thing we’d probably want our children to hear, and there’s a pleasing resonance in the way the movie transmits ancient folk knowledge via digital means. But Disney has set a high standard lately....Moana never quite reaches these heights. Its cultural setting is fresh; its storytelling, less so. It navigates the reefs but it doesn’t discover a whole new world. It’s a Disney musical, so you can pretty much guess all the beats, from Moana’s number where she sings about her desire to travel the oceans (it’s kind of like “The Little Mermaid” in reverse) to the fulfillment of her destiny. But if we’re looking at the journey at not the destination, “Moana” is thoroughly entertaining if never completely groundbreaking.